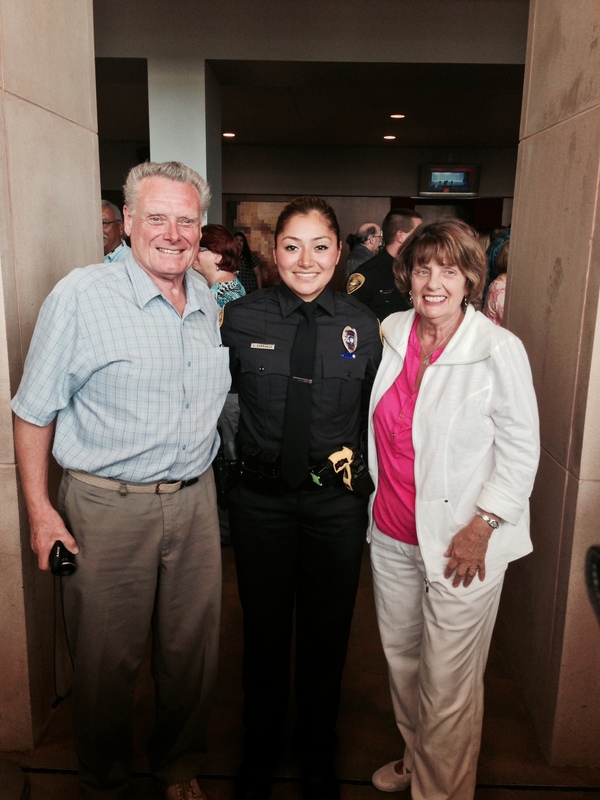 “I graduated March 7th from police academy, and I just started my fifth week on patrol . My shift changes every month along with my beat area. I’m working Tuesday – Friday from 1pm to 11pm this month. I will be in the Field Training Program for another 6 months. My family in Texas attended my graduation, and my brothers, sister and cousin and her family came from Chicago. My Bridge mentor Irene and her husband also came, which was a nice surprise. I hope all is well, I keep you guys in my prayers. As always, please know that I am very grateful for Bridge and each and every one of you that believed in me. You all are very near and dear to my heart, and please let the church know that I send a huge thank you, and that I will always remember what you guys and people I’ve never met did for me and my kids. I will keep sending updates and pictures.